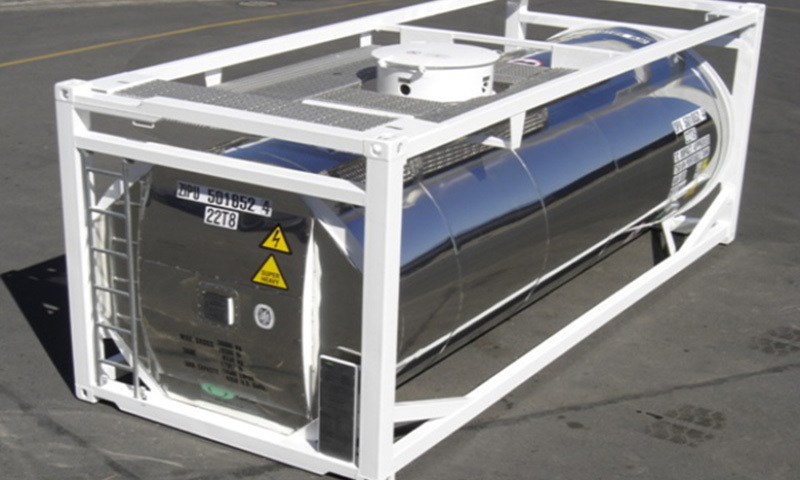 Tank Service offers a wide range of carbon and stainless steel portable tanks, including mini tanks, for bulk transport. 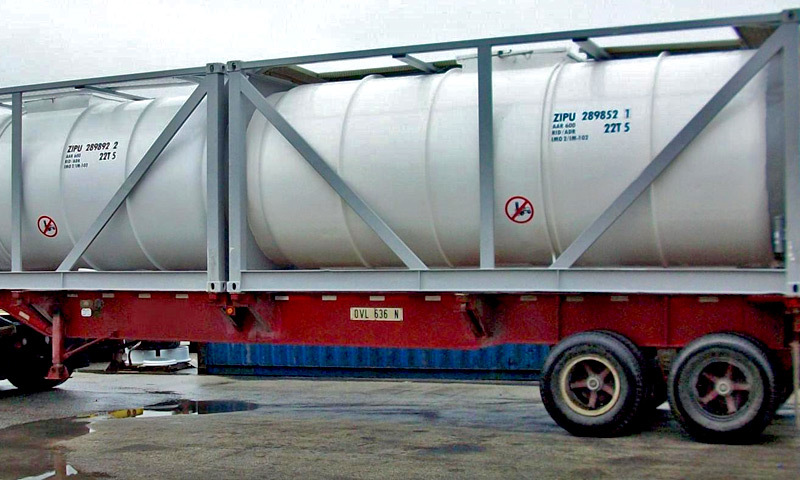 Tank containers, also known as UN portable tanks, ISO tank containers, bulk storage containers, shipping tanks, or intermodal tanks are used in the transportation and storage of hazardous and non-hazardous chemicals, foodstuffs, and liquefied gases. The tank is welded inside the frame, protecting it from damage during shipping and handling. Tank Service can custom modify your tank for your specific need. Stainless steel tanks for bulk liquids are offered in capacities ranging from 26,000 liters (6,870 gallons) down to 14,000 liters (3,700 gallons). Availability of other sizes varies in used tanks, but can always be manufactured as new production. Both insulated and non-insulated portable tanks are also available. Call or request a quote to discuss your needs with respect to product service (food grade or chemical), top or bottom discharge, steam or electric heating systems, or other items of equipment. A variety of special purpose tanks or “specials” are offered, such as UN Portable T20 and T22 tanks and lined units. Linings available include fluoropolymers such as PTFE or PFA Teflon®, rubber, GRP, lead lining, and epoxy and phenolic linings including Plasite, Heresite, Saekaphen, and ChemLine. Other specials include tanks with electrical heating or refrigerant cooling systems, or tanks for special cargoes such as av-gas, chlorine, asphalt and hydrogen peroxide. Call us so that we can define your specific requirements with respect to product service, pressure rating, shell thickness, and other parameters. 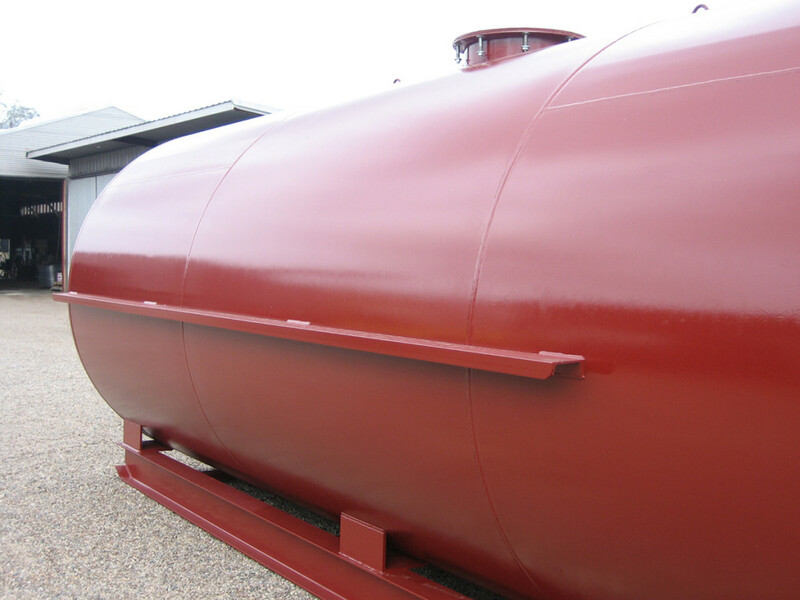 High pressure carbon steel T50 UN Portable gas tanks are offered with capacities ranging from 24,600 liters (6,500 gallons) down to 16,600 liters (4,400 gallons). Smaller tanks typically have a higher Maximum Allowable Working Pressure (MAWP) for the carriage of heavier refrigerant gases. We can also insulate these tanks for certain poisonous gases to meet the requirements of products that are poisonous by inhalation (PIH). 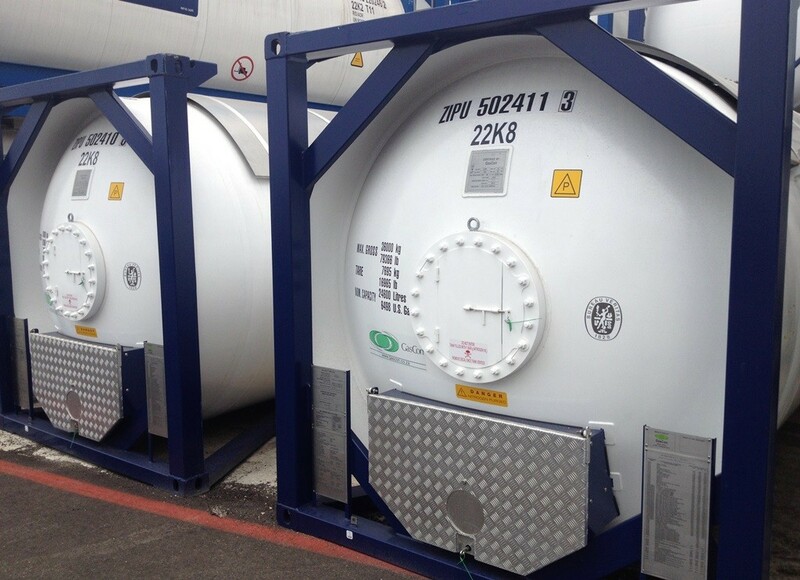 Larger capacity gas tanks can have either a lower MAWP in order to minimize tare weight for maximum payload of products such as butadiene or lighter gases; or a higher MAWP as required for carriage of liquefied petroleum gases (LPG) or anhydrous ammonia. Tank Service offers above ground bulk storage tanks and containers in the petrochemical, oil & gas, biodiesel, ethanol, food grade, water, raw materials, asphalt, and specialty fuels markets. Your choice of carbon or stainless steel shop-fabricated tanks are available, built to ASME pressure vessel code or UL-142 requirements. Supplying high-quality storage tanks with an industry reputation for being reliable, competitive, and flexible is a great source of pride for Tank Service.